Shopping for a new Ford Ecosport? Pick the EcoSport SE for the best choice in drivetrains and features, and make sure to opt for the blind-spot monitors. The 2019 Ford EcoSport is the smallest of six crossover SUVs sold with the blue oval badge. Distinct from the compact Escape, the 2019 EcoSport doesn’t offer very good value compared to that larger, slightly more expensive vehicle. The EcoSport’s a dated design sold around the world long before it made it to the U.S., and it shows in its technology, safety, and interior finish. Sold in S, SE, SES, and Titanium trims, the 2019 EcoSport doesn’t have styling in its strengths column. 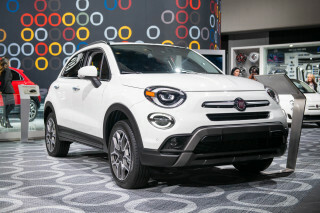 The high beltline, tall nose, and abrupt hatchback don’t knit together as well as other small SUVs such as the Fiat 500X and Jeep Renegade, or even the dowdy Honda HR-V. Ford undercuts a neatly organized cabin with lots of cutlines, and lots of materials on the inexpensive side. The EcoSport comes with either front-wheel drive and a turbo-3 engine, or all-wheel drive and an inline-4. Both draw power through a 6-speed automatic. 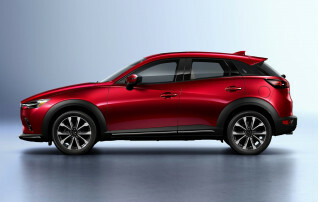 Neither model has remarkable acceleration; the sluggish pace comes from a hefty curb weight of more than 3,000 pounds. The EcoSport rides fairly well, especially in city driving, but it could use more steering force to center itself. Instead, it wanders across pavement ridges. Interior space suits four adults, and the back seat’s the unexpected star, even in head room. Cargo space comes at a cost: the load floor is high, and the side-swinging tailgate is either inconvenient or a kitschy homage to ‘80s utility vehicles. We’re betting on the former. Crash-test scores include a subpar three-star rollover score for front-drive models. No EcoSport offers automatic emergency braking, a vital new piece of safety technology. For more than $20,000, the EcoSport doesn’t represent a good value, but it does come with power features and Bluetooth. Top versions get touchscreen infotainment and Bang & Olufsen sound. Fully stocked and nearly $30,000 with all the options, the Ford EcoSport pales when compared with the best of its kind, or even a much cheaper, much more practical family sedan. The EcoSport wears hatchback duds and lifts them to almost cartoonish SUV heights. The short body can’t help but look awkward, stubby and high as it is, and the cabin’s a cut-and-paste piece still in progress. The 2019 Ford EcoSport bears all the flaws of a tiny car saddled with SUV-ish intent. It wears headlights and a grille meant to mask its relatively tall front end, and from that angle, all is well. Spin it to the side view, and the EcoSport looks like it’s missing about a third of a car. The rear end turns up quickly to meet the tailgate like they’re speed-dating, and it’s obvious it won’t go well. The EcoSport isn’t alone here: the Chevy Trax and Mercedes GLA have the same styling issues. The cabin is where the letdowns are self-inflicted. Ford carves out lots of space with the EcoSport, but it could have carved it out more nicely. The materials and trim reveal low-end roots that mar what’s really a decently formatted cockpit. The EcoSport dash lacks symmetry. That’s fine when it’s done well, but the myriad trim pieces and cutlines and dash materials render poorly here. Base cars get 4.2-inch LCD screens that come from the deeper recesses of Ford’s bargain bin; pricey models adopt a lush-looking 8.0-inch touchscreen. The SES dresses things up with generous copper-toned trim on its dash, doors, and seats. It might all work perfectly well if it came remotely close to the subpar fit and finish of the Ford Fiesta, but it doesn’t. Ford offers a lovely drivetrain in the EcoSport, and its short wheelbase could imply spry handling. Neither happens: the EcoSport doesn’t feel particularly nimble, and it’s isn’t quick at all. The base 2019 EcoSport comes with Ford’s sassy 1.6-liter turbo-3 engine, teamed with a 6-speed automatic and front-wheel drive. With 123 hp and 125 lb-ft of torque, this EcoSport should be entertaining, but it weighs more than 3,000 pounds and has to wait for peak torque to show up until 3,500 rpm. It never really feels urgent, though the 6-speed snicks off unruffled, quiet shifts. Ignore the Sport mode and shift-toggle switch on the console-mounted lever; if the drive modes were any less differentiated, they’d be stem cells. Patience isn’t a virtue here, it’s standard equipment. Ford fits a simple all-wheel-drive system to its smallest crossover, one that can vary torque from the front to the rear wheels. The inline-3 makes way for a marginally more powerful inline-4, without turbocharging, but with 166 hp and 149 lb-ft of torque. It also adds about 300 pounds of curb weight, neatly negating the power increase. Front-drive models can tow 1,400 pounds, but AWD models can pull 2,000 pounds. We’ve tested front-drive EcoSports with 17-inch wheels and all-season tires, and found the steering lacking. There’s not much force applied to keep the steering well-centered; on Florida’s sunny and well-maintained surface streets, it sniffed for direction like an absent-minded dog. The EcoSport doesn’t handle poorly, though. The brakes have good bite, the ride absorbs bumps that threaten to swallow the entire car, and the independent front and torsion-beam rear suspension doesn’t lean much in corners. 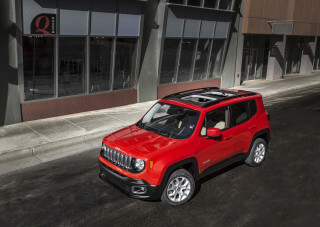 Small crossover SUVs often come with big compromises. In the 2019 EcoSport, Ford trims interior quality and cargo space. The EcoSport rides on a 99.2-inch wheelbase, and sits 161.3 inches long. 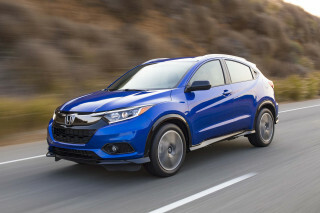 Compared with the Honda HR-V, it’s smaller in both respects, and it does less with the footprint, too. Base EcoSports have cloth seats and less bolstering on the front seats. We’ve spent more time in the Titanium model with leather upholstery and more comfortably padded chairs. 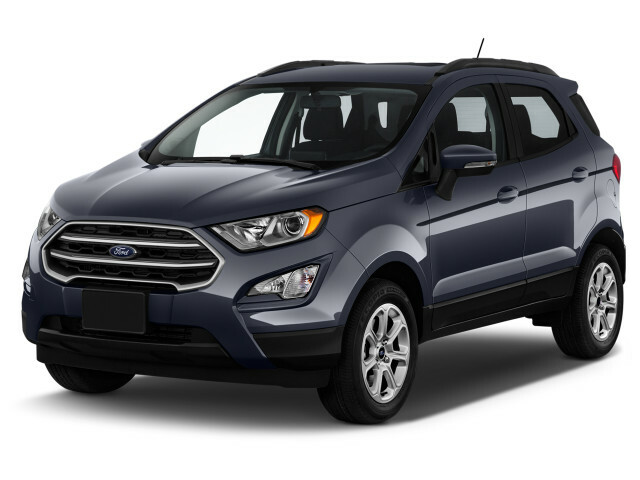 This EcoSport has thicker, more supportive seats with more lumbar support. It’s still not a wide chair, and drivers will make regular contact with the center console. A high driving position gives a good view ahead, despite a tall hood, but the small windows and upturned rear pillars can get in the way of the rearward view. In a niche filled with cramped pseudo-hatchbacks, the Ford EcoSport boasts good rear-seat space. It sits high, and it’s easy to climb in back through large doors. Six-foot-tall passengers have no problems finding adequate space, and the rear seatbacks recline for long-distance comfort or fold down to increase cargo space. The EcoSport’s 20.9 cubic feet of storage behind the rear seats is shy of the Honda HR-V by a few cubes, but it’s useful enough until you factor in a high load floor and the odd EcoSport tailgate, hinged on one side instead of at its top edge. Loading in the tight confines of a parking garage may be an issue. Ford can, and has, built better interiors than the one it installs in the EcoSport. Black plastic trim rules the roost, and Ford composes the cabin in dozens of pieces, from a handful of textures and types. It’s a jigsaw puzzle that casts reflections across the windshield, and echoes the past with switchgear common to the aged Fiesta hatches. The cobbled-together nature of the cabin leads to exposed patches of paint and visible seams and seals. It’s on a budget, but not really a bargain. Ford assembles the EcoSport in India, but it’s cost-cutting and supply-chain issues that are reflected in its low-rent cabin—which, by the way, has better road-noise isolation than most small crossovers. Crash test scores aren’t the Ford EcoSport’s friend, and neither is its paucity of safety technology. 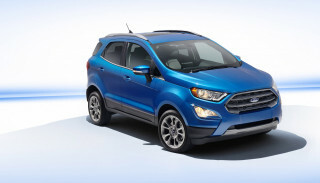 The EcoSport earned a four-star overall rating from the NHTSA. In subtests, it got five stars for side impact protection, but only four stars for AWD models’ rollover resistance, and a troubling three-star score for FWD rollover resistance. The IIHS hasn’t yet rated the EcoSport. The EcoSport offers good outward vision and has retractable headrests for better seat comfort. But the latest safety technology is nowhere to be found on the EcoSport, which can be fitted with blind-spot monitors. Ford doesn’t equip any EcoSport with adaptive cruise control, front parking sensors, or most critically, forward-collision warnings with automatic emergency braking. Vehicles such as the Toyota C-HR come with that life-saving feature standard. Ford fits the 2019 EcoSport with a fair amount of standard features. It doesn’t put too much on the options list, and in most ways, it’s strictly average. Priced at more than $21,000, the Ford EcoSport S comes with what we regard as fair standard equipment. 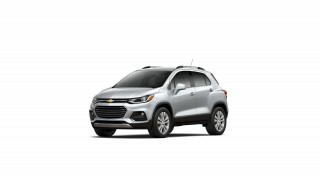 It gets cruise control, power features, 16-inch wheels, air conditioning, cloth upholstery, and an AM/FM stereo with Bluetooth streaming and two USB ports. Ford will sell this version with all-wheel drive, a spare tire carrier for the unusual side-hinged tailgate, and remote start. For about $24,000, the EcoSport SE gains rear parking sensors, automatic climate control, steering-wheel audio and phone controls, satellite radio, a 6.5-inch touchscreen, a small sunroof that opens mostly behind the driver’s head, and keyless ignition. It’s offered with option packages such as navigation, blind-spot monitors, and a lovely high-resolution 8.0-inch touchscreen. Remote start and 17-inch wheels are sold separately. At more than $26,000, the EcoSport Titanium falters in value, with standard 17-inch wheels, leather upholstery, an 8.0-inch touchscreen, Apple CarPlay and Android Auto integration, navigation, and Bang & Olufsen audio, which delivers good sound on a budget. Oddly, the EcoSport SES skips the premium sound and navigation, and adds sport seats and distinctive trim. The EcoSport comes in front- and all-wheel-drive models. Front-drivers have a turbo-3 engine that teams with a 6-speed automatic. The EPA pegs this combination at 27 mpg city, 29 highway, 28 combined. It sips fuel at city speeds, but on the highway it doesn’t hit peak torque until 3,500 rpm, which means interstate driving requires a heavier foot. The heavier AWD EcoSport comes with an inline-4 engine, and slips in gas mileage. It’s rated at 23/29/25 mpg, which isn’t much better than an entertaining turbo-4 Escape that doesn’t cost much more and performs better in virtually every way. Looking for a different year of the Ford Ecosport?